Nata de coco is a chewy, translucent, jelly-like food product produced by the bacterial fermentation of coconut water and carrageenan (a family of linear sulphated polysaccharides which are extracted from red seaweeds). 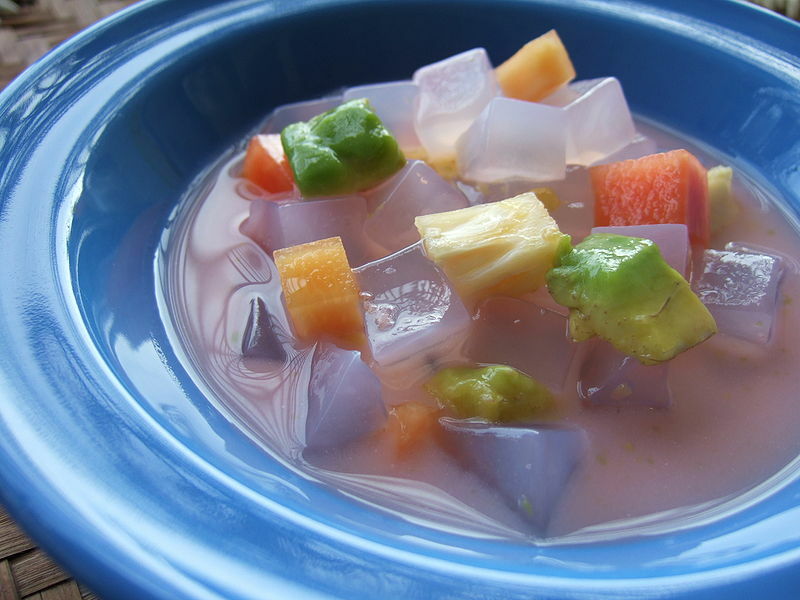 Nata de coco is most commonly sweetened as a candy or dessert, and can accompany many things including pickles, drinks, ice cream, puddings and fruit mixes. The product originates from the Philippines. "Nata de coco" comes from Spanish "Cream of Coconut". Cream in this sense means the fat from the coconut milk. The Spanish name is a result of Spain's colonization of the Philippines.